Vibrant streets, delicious dining, sophisticated shopping and all of New York City’s signature sights and sounds surround our boutique hotel in NoMad, Manhattan, where guests are welcomed by recently renovated rooms and suites and a variety of convenient amenities. Overlooking the bustling intersection of 27th and Broadway, our hotel offers easy access to activities, attractions and business travel destinations. Whether you are staying in the city with the whole family or visiting for work, the Broadway Plaza Hotel positions you perfectly – near the Empire State Building, Macy’s Herald Square, Midtown, Madison Square Park, and much more. Concierge services offering transportation arrangements, restaurant recommendations, business services, and discounted attractions, tours, and Broadway theatre tickets. 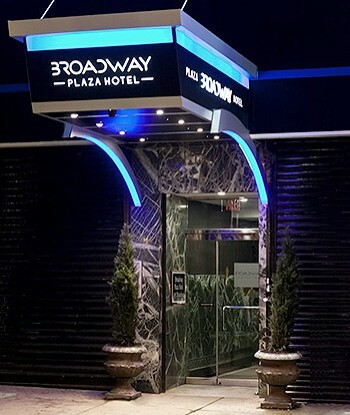 To learn more about the unique guest services and amenities that differentiate the Broadway Plaza Hotel from other boutique hotels in New York, please contact us.